"American Soldiers -- I apologize for my failure; that I allowed myself to be bullied and to run scared. Thankfully I have a voice now." "I'm not so much frightened about myself or my children. BECAUSE I CAN'T STOP THINKING ABOUT YOUR CHILDREN, and those people that I did that too. I joined the military to be a hero. I did not join the military to kill people with vaccines. I wanted to be Hawk-Eye from M.A.S.H. I don't feel like a hero." she says, her voice cracking, on the verge of tears. "I am here today to let these people know ... I was a Medic who gave the Anthrax vaccine to people as a Lab Rat ... and I don't know how many people I harmed ... and I don't know how many people I killed. I am going to STAND WITH all of you people today." "We are done with your vaccines! We are done being lab rats! And I am done being told by my government to keep my mouth shut!" 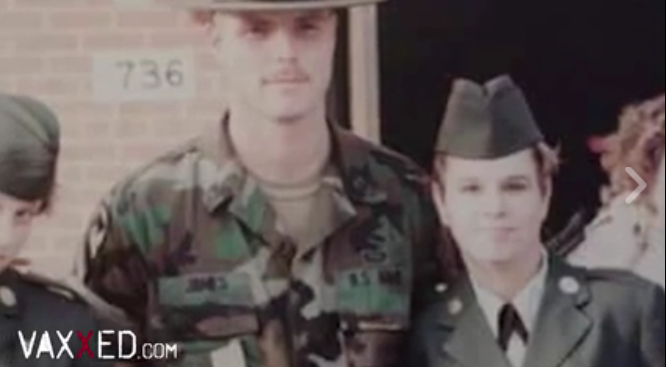 Army Medic Sherrie Saunders learned the frightening truth that Anthrax vaccine was causing the Gulf War Syndrome when it killed a young soldier that she was caring for. He was charged with the Gulf War Syndrome, even though he had never left the State of George. Her Captain took that information up the chain of command. Men from Washington, DC in SUV's and dark suits arrived and threatened the Captain and her. She was bullied into silence. But not any more! 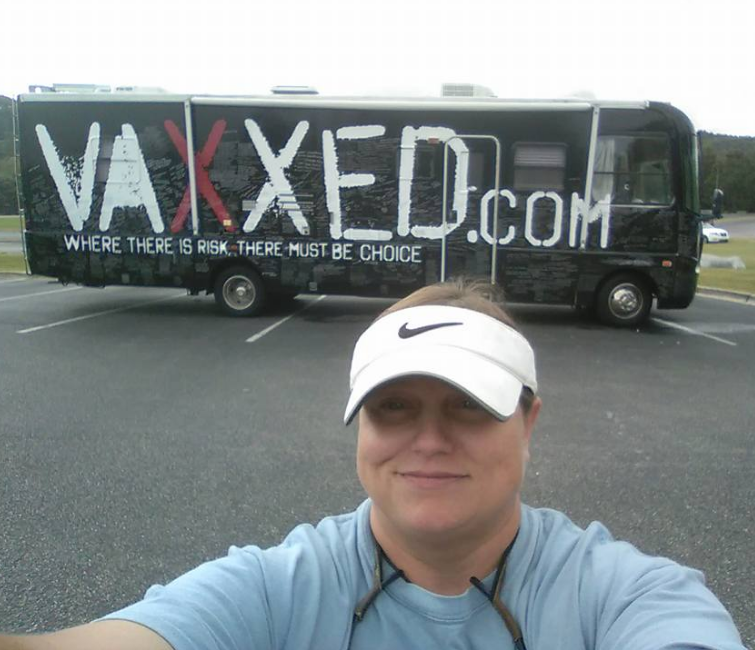 Sherrie Saunders is joining the VaxXed team to spread the word about Vaccine Injury and how it has been fraudulently covered up, and the injured have been BULLIED into silence. THANK-YOU SHERRIE. We need more people like you to come forward with the truth and BE BRAVE! Picture of Sherrie with the 75th Combat Support Hospital. 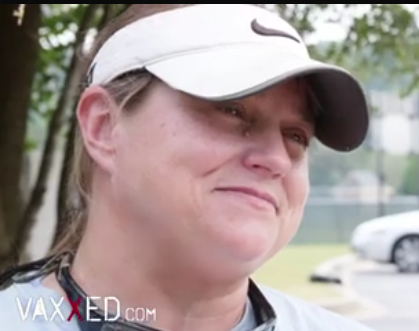 Her job as a Combat Army Medic was to give the Anthrax Vaccine. Sherrie speaks out with amazing compassion and incredible insight into the agenda behind forced vaccines upon the military, and other groups of vulnerable people. I cried and cried throughout the video, as I could feel how strongly she felt! I heard how guilt-ridden she is as she apologizes over and over again. And I heard how she is determined to CHANGE THE WORLD now. PLEASE, PLEASE take a few minutes to listen to her Story. You won't regret it. We need to listen to people like her that so passionately and courageously are trying to change the world for the better, for our children, and for future generations. We MUST STOP this corruption in our government and medical system. We must wake up the world before it is too late and too many of us are sick and incapable of contributing.